The Supreme Court on 21 April rebuked the central government for taking good care of destitute widows in the country. The court added that when it passes some directions, it is claimed that the courts are "trying to run the government", which does not want to act. "You (government) do not want to do it and when we say anything, you say that court is trying to run the government," a bench comprising Justices Madan B Lokur and Deepak Gupta said while castigating the government for not caring for the destitute widows. The top court expressed its dissatisfaction with the government for not introducing a roadmap for the welfare of widows. The court has also imposed a fine of Rs one lakh on the government for not coming out with the agreed directions to improve the condition of destitute widows, despite its direction and granted it four weeks to do so. "You do not care about the widows of India. You file an affidavit and say you are not concerned with the widows of India. You have done nothing... This is complete helplessness. The government does not want to do anything," the bench said. The apex court had earlier asked the Centre to convene a meeting to consider suggestions mooted by the National Commission for Women (NCW) and formulate directions to improve the condition of widows in the country. During the hearing on Friday, the bench asked the Centre's counsel why this meeting was not convened despite an assurance given to the court. "You had told us about April 12 and 13 but there was no meeting and now you are giving explanations. In spite of what was recorded, nothing has been done. You have not done anything," the bench said, adding "we cannot do anything, they are so stubborn". When the counsel sought time to come back with directions, the bench said, "We will grant you time subject to cost of Rs one lakh". At the last date of hearing, the court had said the government and other stakeholders should sit together and come out with a list of "agreed directions" which may be passed by it today. The counsel for the ministry had told the court that it would be appropriate "if agreed directions are formulated and issued so that immediate steps are taken to improve the conditions of widows". 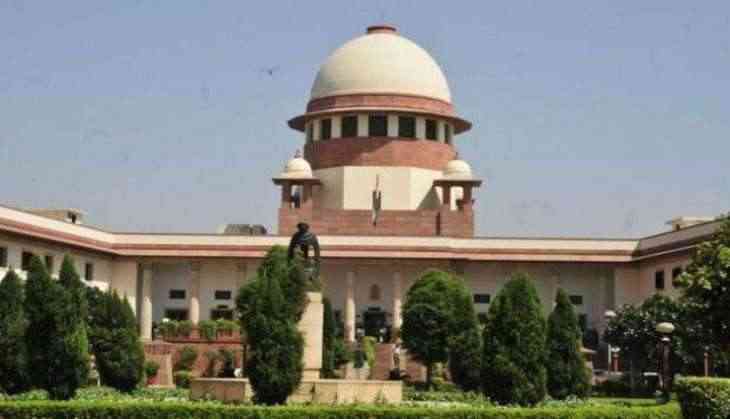 The apex court had taken note of situation of widows after a petition was filed in 2007 portraying their pathetic condition in the welfare homes at the holy city of Vrindavan in Uttar Pradesh. The apex court had earlier referred to various reports filed by the National Legal Services Authority, the District Legal Services Authority and the NCW on the condition of shelter homes for widows in Vrindavan. One of the reports had said that there was the lack of proper toilets and bathrooms in the shelter homes, besides poor water and electricity facilities.